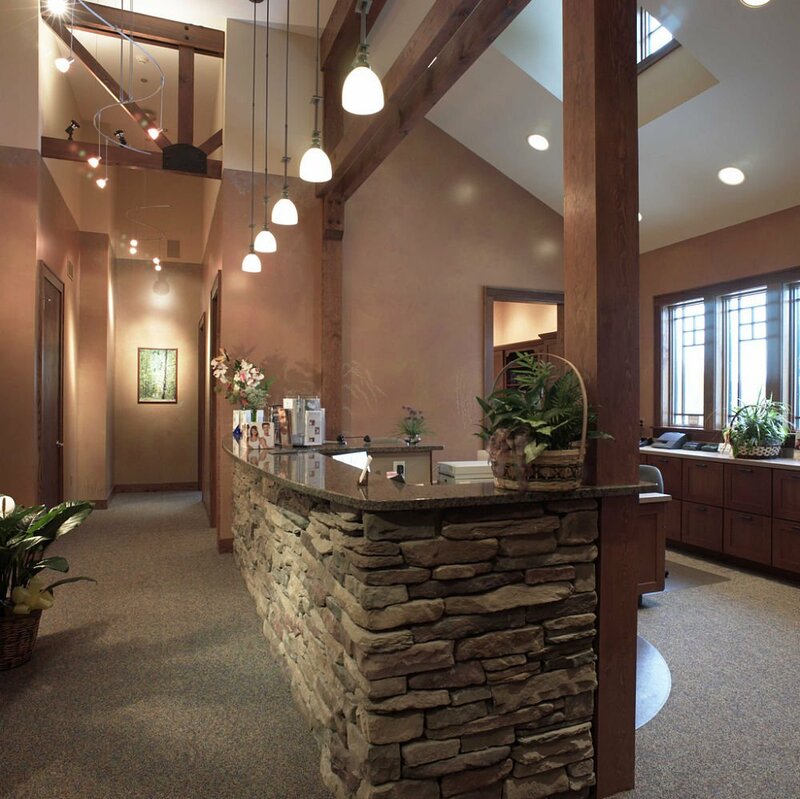 From medical practices to veterinary clinics we have designed, built and remodeled many professional offices throughout Central New York. We are very attentive to detail and understand the requirements of professional offices. We will work with your schedule and accommodate the needs of your staff and clients. Contact us today for a complimentary consultation. 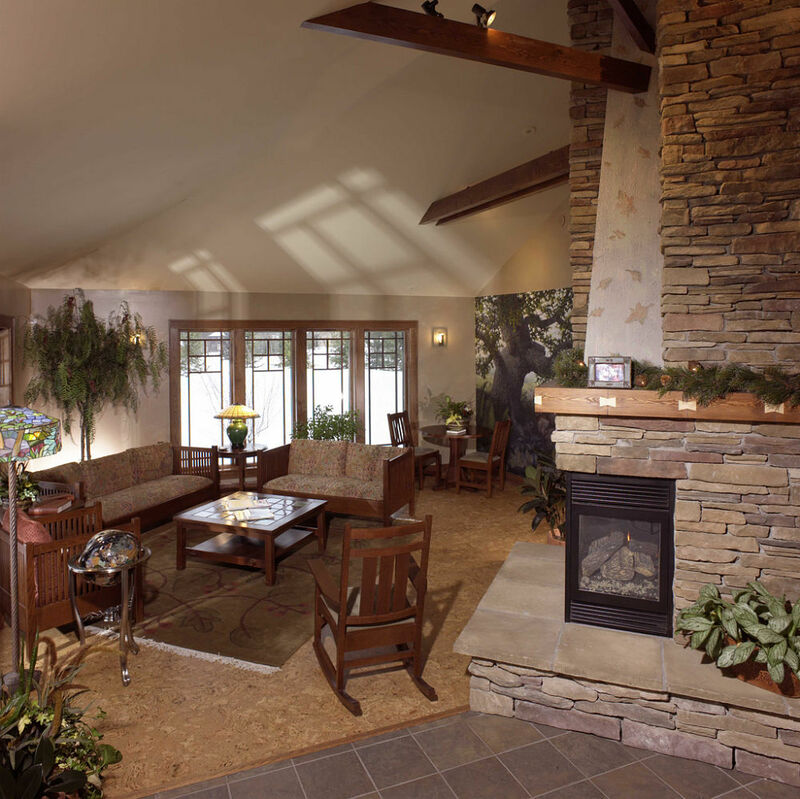 The waiting room of this dental office includes a three-sided gas fireplace surrounded with cultured stone, a cathedral ceiling, cork flooring, a hand painted mural of a forest scene and exposed wood beams. 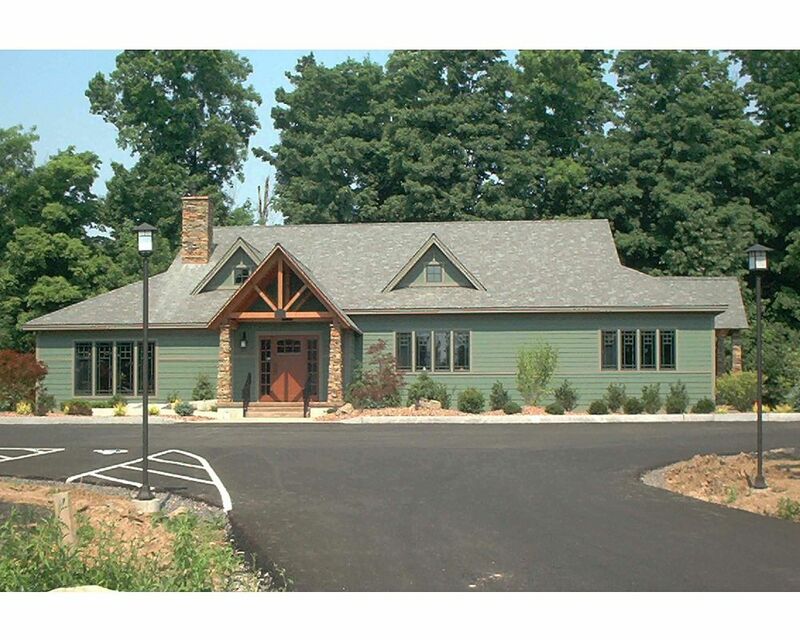 Inspired by the Adirondacks, this dental office was built with the great outdoors in mind. The colors of all the materials used were earth tone. Stone and exposed wood posts and beams were used throughout the building. The outdoors has been brought in with the use of cultured stone, false wood beams and trusses, granite countertops and earth tone colored wall paint and carpeting. This project had both design and technical challenges. 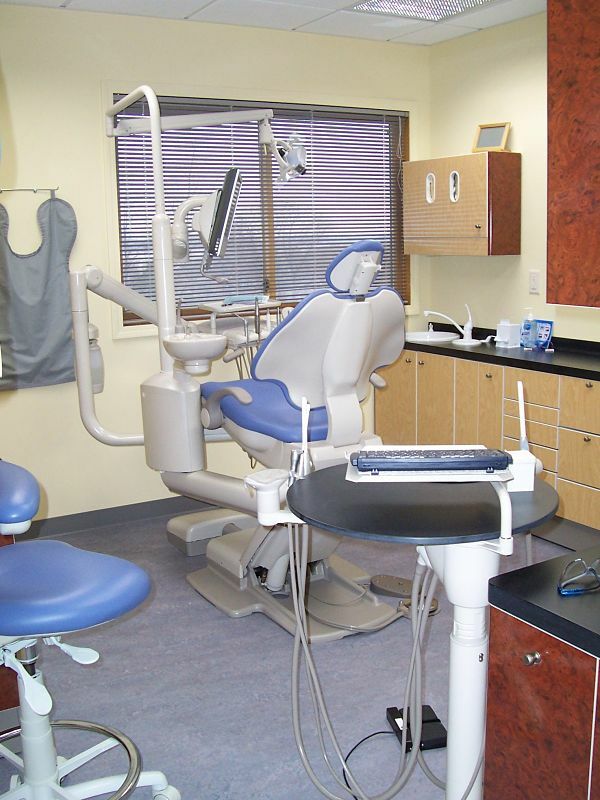 The room houses dental x-ray machines, dental equipment including drills and sinks, special lighting fixtures and wiring for chair operation. Along with code considerations, the space needed to be made patient friendly. Aesthetics were as important as the utilitarian design of the room. The dental cabinetry selected for this office provides essential storage. Two different laminates were used to bring color to the room. A vinyl floor was installed throughout the operatories for easy cleaning and low maintenance. The room was painted yellow to brighten patient's spirits. Medical offices have unique code requirements. Equipment, such as this x-ray machine, requires special wiring and wall structure to protect both the unit and the people using it. 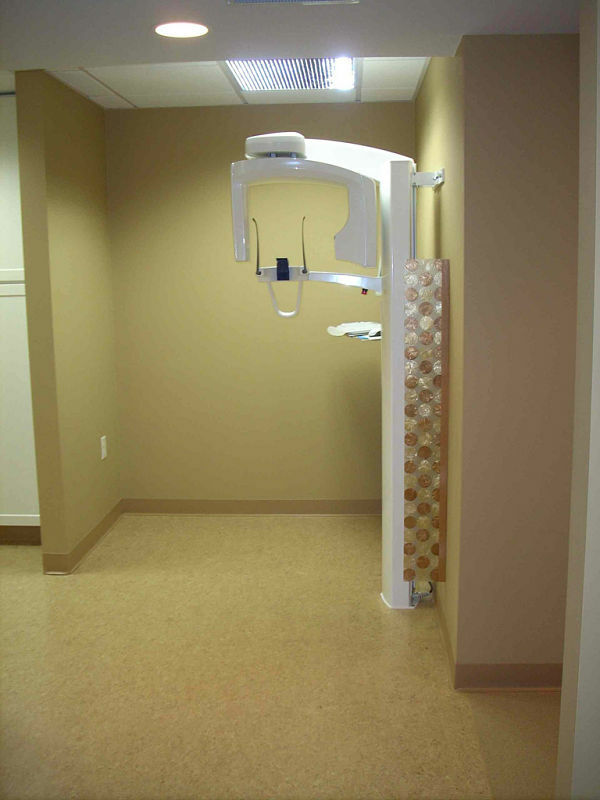 For aesthetics, this x-ray room includes a custom translucent panel beside the x-ray machine, and a wall concealing the mechanicals from plain view. Commercial bathrooms must be designed to be handicap accessible. 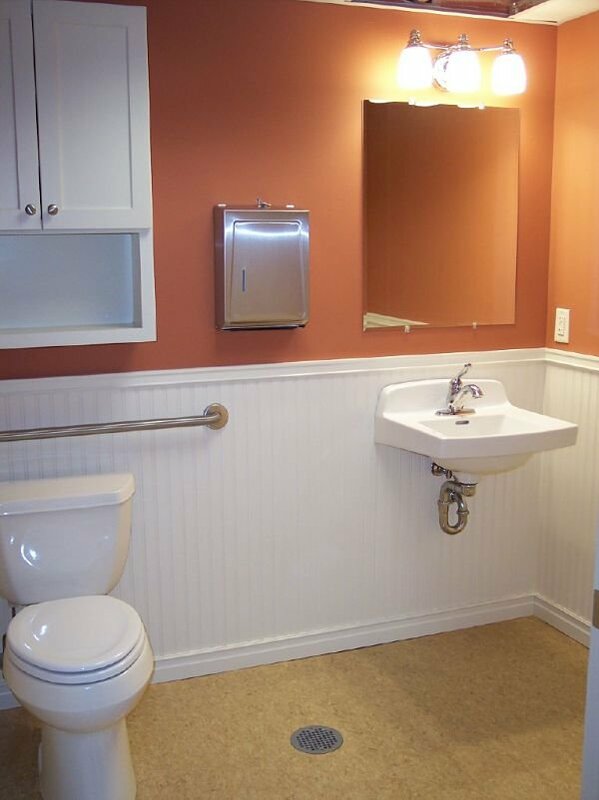 An example of this, this bathroom includes grab bars and a wall mount sink for easy access. The floor space of the bathroom is large allowing maneuverability of a wheelchair. 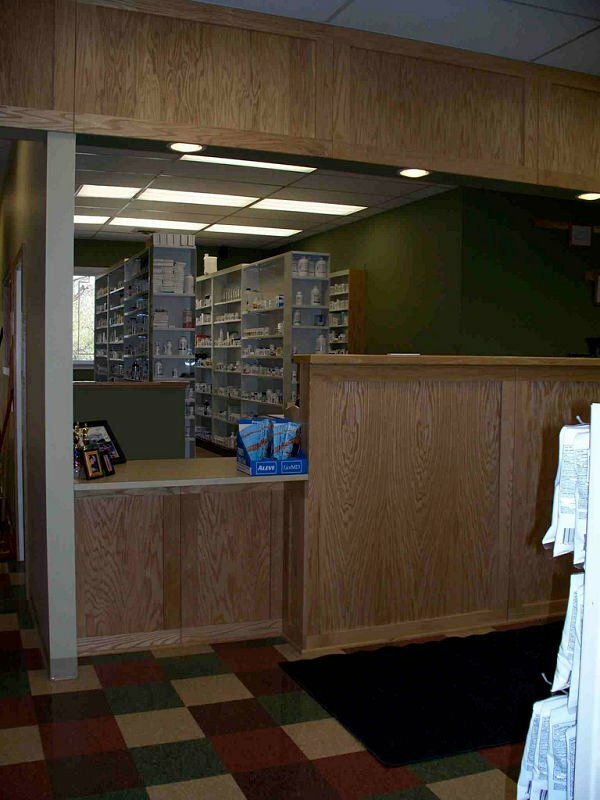 The desktop shown at this pharmacy includes a large overhang so a person in a wheelchair can wheel in underneath and use the surface comfortably. The low height of the desktop makes it usable by people of all different heights.